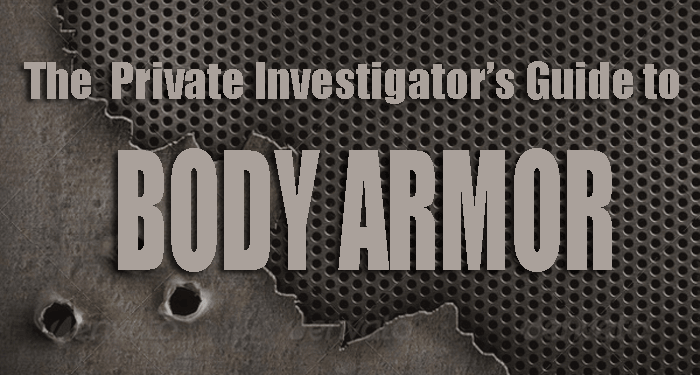 Private investigators need body armor. Many may not be aware of this, but any profession where the threat of attack exists requires some protection against it. This extends to private investigators (P.I.s), who often have to work in dangerous situations involving uncooperative or even belligerent individuals. In order to perform their role confidently and professionally, they have to be secure and safe, and this can best be achieved through body armor. Body armor is usually thought of as essential equipment for those in the Police or Armed Forces as they regularly have to deal with attacks and weapons. However, P.I.s have just the same threat of facing potentially deadly attacks, and so have to be protected. Body armor is more accessible and wearable than ever, and so should be considered an essential piece of equipment for all P.I.s. Of course, it can be difficult to understand body armor, which is itself a very broad term; body armor encompasses everything from bullet proof vests to ballistic helmets, and understanding exactly what protection is available to you and how it works is the only way to ensure you have the most appropriate protective clothing. Bullet proof vests are of course the most well-known examples of body armor, but even these are available in a variety of styles and protection levels. Bullet proof vests use soft materials like Kevlar to provide a tough yet lightweight and flexible surface. These materials use plastics with an incredibly high strength-to-weight ratio that can absorb and disperse energy, making it bullet resistant. However, the strength of attacks it can stop depends on the number of layers in the vest, and lower levels of bullet proof vest cannot protect against high caliber ammunition. Bullet resistant vests are tested and graded according to standards set by the US National Institute of Justice, recognised the world over as being the foremost authority on ballistic testing. These Levels (NIJ Levels) outline exactly what ammunition can be stopped; for example, a vest at NIJ Level IIIa is capable of protecting against .44 Magnum rounds and 9mm ammo at high velocities, whereas a vest at NIJ Level IV which uses rigid plates can stop 7.62x51mm NATO rounds even in the armor-piercing variant. For more on this topic, read 5 Ballistic Safety Tips for Private Investigators. Of course, these rigid plates will make armor heavier and thicker than armor that solely uses Kevlar or similar materials. This means that for many it will simply not be necessary. It is tempting to opt for the highest level of protection to ensure that you are completely safe, but protection at this level can sap your energy quicker and hinder your movement more than lower levels, meaning that unless there is a real and present danger of high caliber ammunition it is simply not necessary, and a more comfortable and appropriate vest would be a better choice. 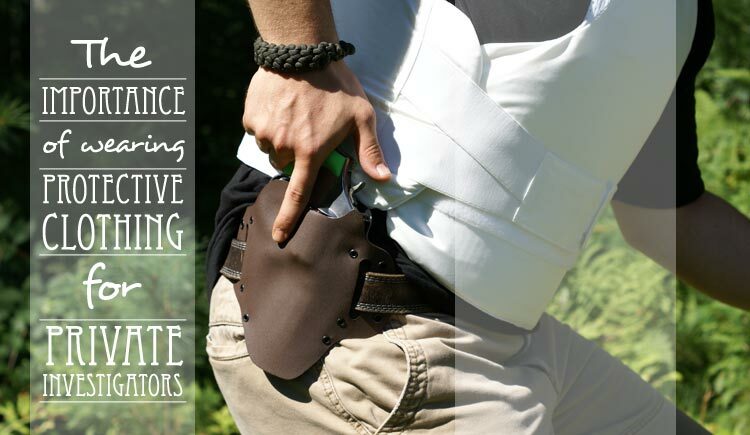 While this does apply to rigid panels, they are still light enough to be worn even in covert vests, and the above advice applies largely to tactical armor that offers protection for the entire body. It is important to be aware of the different styles of vest available, as not all will be suitable for your purposes. For example, tactical vests will provide little benefit to P.I.s unless they will be working in very high risk areas and facing extreme threats. However, there are also covert and overt armors to consider. Covert armor is designed to be worn underneath clothing, offering protection at any level in a discreet manner. This may be of benefit to many P.I.s who will wish to be protected from potential attacks, but need to avoid appearing confrontational or hostile. Private investigators may have to interact with people who are at best uncooperative, and at worst are belligerent and hostile. These people will be even less likely to cooperate with a P.I. outfitted in overt armor. On the other hand, when dealing with people who are hostile, visible body armor in the form of an overt vest could help deter attackers and demonstrate authority and preparedness. This may be beneficial to a P.I. who needs to track someone down in a bad neighbourhood for example. Whatever the choice, both overt and covert vests are available in every protection level, making the decision a personal one that needs to reflect the individual’s research and preparation. For more on armor types, read What is Covert and Overt Body Armor. Of course, it is not only ballistic protection that a P.I. will need. There will be situations where firearms are not the most dangerous weapon around, perhaps because they are less accessible, or because other weapons are more prevalent. Knives, broken bottles, screwdrivers and needles are all examples of weapons that anybody can get their hands on, and these can certainly be just as deadly as firearms. However, many do not realise that none of these weapons can be stopped by a bullet proof vest. The materials in bullet resistant vests, while exceptionally strong and flexible, are only fabrics when all is said and done. This means that they can be cut by edged weapons like axes or knives, while spiked weapons like needles and icepicks can simply pass between the gaps in the fabric. These weapons therefore render the protection useless, and can cause great harm. When working in close quarters or large crowds, edged and spiked weapons can make for very deadly weapons that need to be protected against. Edge and spike protection can be applied to bullet proof vests with the addition of materials like plastic and chainmail. These materials create tough, solid surfaces that prevent these weapons from penetrating, providing protection to the wearer. These materials are still incredibly thin, lightweight, and flexible, and therefore their addition is incredibly useful to any P.I.s who may face edged or spiked weapons. The decision to wear body armor should be a simple one; where there is the threat of attack or injury, it should be worn. This is especially true for those working in a dangerous profession like security or private investigation. However, the decision as to what level of protection and what style of vest is one that can only be made by the individual, and must be informed by their own research and preparation. Explaining the basics of body armor, how protective clothing can help you, and what is best for each situation is a simple way of making the decision somewhat easier. You can learn about why investigators should be wearing body armor by reading The Importance of Wearing Protective Clothing for Private Investigators. Tom Bowman is SafeGuard Armor's leading ballistics expert, and regularly uses his industry insights to help provide advice and information to people in a wide range of professions.